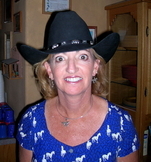 Donna Engle- President and Treasurer-Donna is a Registered Nurse and received her B.S. degree in Nursing from Downstate Medical Center in 1981. Since that time, she has worked 4 years in pediatric nursing, followed by 21 years for a certified home care agency. Since 2006, she has been working for Hudson Valley Hospice. Donna is Brenna's mother and also has one other daughter, Taryn. Donna became a Christian in November 2003, became a member of New Beginnings Church in Poughkeepsie, NY in June 2004, and was baptized in September 2005. Donna enjoys reading, horseback riding, walking, and church activities. Richard L Engle- Secretary- Richard is a retired Environmental Health and Safety Professional with more that 35 years combined experience in the field with Harvard University, IBM, Mirant, the Mount Sinai Medical Center, and St. John's Riverside Hospital. He holds degrees from the Harvard School of Public Health and Messiah College. As Brenna's father, he has three other daughters, Alyssa, Kyla, and Kelsey, a step-daughter, Taryn, and four grandchildren. Richard has deep-seated roots in the Brethren in Christ Church, and is a member of New Beginnings Church in Poughkeepsie, NY. Previous missions experience includes two years teaching 5th and 6th grades with Navajo children at the Brethren in Christ Mission near Bloomfield, New Mexico. His hobbies include music, gardening, and cooking. Carolanne Blabac- Carolanne attended Queens College in Flushing, New York. After working at the New York Stock Exchange for 5 years and Continental Airlines for 17 years, she moved to Poughkeepsie NY in 2004. Carolanne and her husband, Blaise, a structural engineer, have one daughter and two sons. They met Donna and Rich Engle at New Beginnings Church where both families attend. Carolanne is employed by Vassar College, is an active volunteer with several non-profits, and with her husband, have helped coordinate fundraisers for The Brenna Engle Foundation. Carolanne anticipates helping the Foundation grow and serve more needy children throughout the world. Tom Slaughter - Tom is married to Corinne since 1986 and lives in Hyde Park, New York. They have three adult children, and several grandchildren. Tom served in the US Air Force for four years and is a graduate of Marist College. Tom says, “I love Jesus Christ and I love being a husband and father.” Being a father, and a good father, was always a priority for him. Tom coached baseball, girls basketball, and girls lacrosse as a way of supporting his kids while they participated. Tom has always had a heart for missions and service to others, through Midnight Runs to New York City to feed the homeless and listen to their stories, street ministry in El Salvador, and three trips to Ukraine helping with VBS or camp. Tom enjoys spending time with his family, playing games, and following sports, especially the Oakland Raiders and Minnesota Twins. He treasures time outdoors in God’s beautiful creation with his family, especially hiking. Carrie Rynders - Carrie grew up in Wisconsin and married her high school sweetheart, Dan, in 1976. They lived there with their three children and Carrie worked as a travel agent. She retired to take care of their oldest daughter, Amy, who was in a wheelchair and required extra at-home care after finishing school. In 1999, the family moved to Arizona to fulfill a lifelong dream to build Stagecoach Trails Guest Ranch, the first completely handicapped accessible dude ranch in America. They were very proud of their family-owned and operated guest ranch and they worked hard to provide everyone who stayed there a truly memorable western experience. They are thankful that God provided the opportunity for them to know Donna, Rich, and Brenna, and to become involved with Brenna's Home. In 2014, Carrie and Dan passed the ranch to new owners so they could return to Wisconsin and be close to their children and grandchildren.